Enjoy a delightful visit looking directly over the sparkling blue tropical waters towards the world famous Sanibel and Captiva Islands. This condo rental on Sanibel Island has it all. This west facing two bedroom, two bath unit is situated on the fourth floor and offers stunning sunset views and beautiful waterfront views over San Carlos Bay and Pine Island Sound. The unit is decorator furnished and appointed. It can be rented by the day, week, or month depending upon availability. 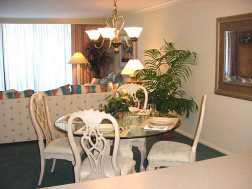 Guests of our condominium unit are entitled to the use of all the amenities of the world famous Sanibel Harbour Resort hotel, the area's only four star resort property. The unit sits directly on the private beach, and has it's own private pool and Jacuzzi/spa. The designer kitchen features upscale appliances, and all the comforts of home. Enjoy champagne sunsets or coffee and juice while sitting on the nicely appointed, screened patio/lanai. This is relaxation at its best. Rental by day, week or month depending upon availability. Rates dependent upon length of stay and time of year. This Florida Vacation Rentals listing site features homes, townhouses, villas, condos and island properties with, beachview, waterfront, and pools including this beachfront Condo Rental On Sanibel Island. 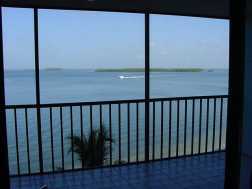 CLICK HERE FOR MORE Sanibel Island Vacation Rentals. Review many Florida vacation destinations at your fingertips.